Mount Saint Mary College (MSMC)’s seniors have won the annual Mount Olympics for their third year in a row at the event held Thursday, Oct. 23. Senior Class President Roe DiStefano is thrilled to have won the Olympics in her first year as the president of her class. The juniors and seniors were neck and neck throughout the battle, making it a close call. Junior Class President Nick Marano was proud of his class for coming in second place after losing three consecutive years. 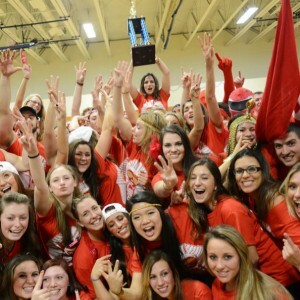 Mount Olympics is a night to bring students together and enhance their sense of community among other students rather than be separated as winners and losers. Freshman Danielle Ciullo said losing was expected, but her class still had a great time at the event. Sophomore Jessica Daigle felt this year was a chance to step up, now that her class is aware of how the event works, but was caught by surprise when new games were added. DiStefano knew to expect the unexpected when it comes to the Olympics. Seniors Victoria Trocino and Geraldine Yniguez were major factors in DiStefano’s team, with jobs of creating the banner and choreographing the skit. At the end of the night, the seniors were announced as the first place title holders after winning Powder Puff, the obstacle course, the swimming race, and Kan Jam with a total of 178 points.